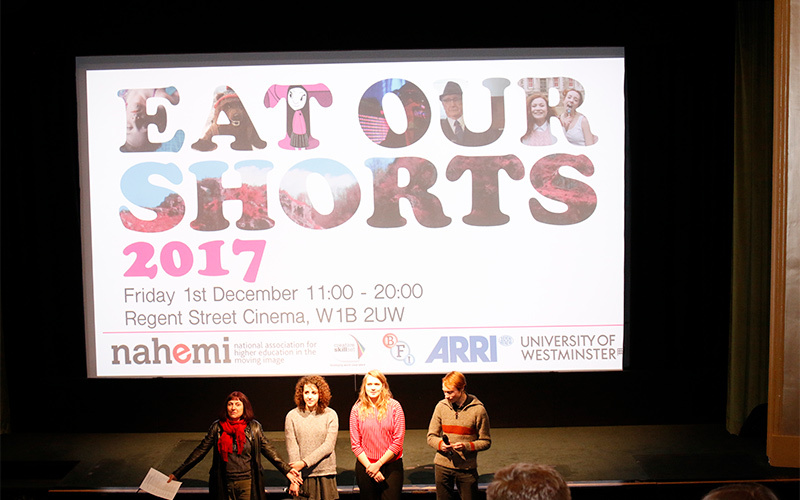 Four animated films by NUA students were featured in this year’s Eat Our Shorts Festival in London. his year’s festival, organised by the National Association for Higher Education in the Moving Image, (NAHEMI) was held at the Regent Street Cinema in London. Professor Suzie Hanna is chair of NAHEMI and introduced the festival sessions and discussions of the work on show. Professor Hanna said the four shorts by students from NUA’s BA (Hons) Animation course were well-received. “This annual event showcases some of the best moving image production work from across the UK,” Professor Hanna said.